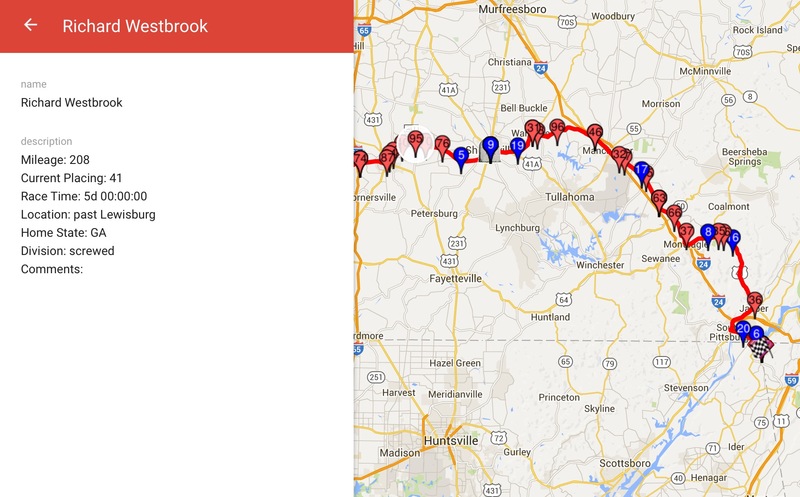 Westbrook is now 26th place with 208 miles in, just past Lewisburg, Tennessee. In Lewisburg the current temperature is 91 degrees but with the humidity it feels like 104 degrees. Oh, God bless! Stay hydrated, runners, and seek shade whenever and wherever you can find it! Westbrook says he feels terrible and it is incredibly hot out there. He and another runner just finished eating. He is coming into Shelbyville, Tennesee and says the rest of the way is wide open and will be HOT! The runners are all suffering.